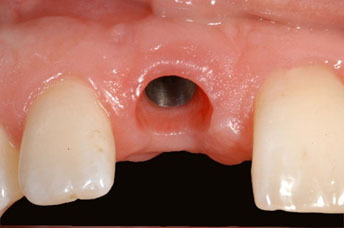 The crown (or prosthetic tooth): This is the part of the tooth that you can see. It's usually made of zirconium or porcelain for durability and good looks. 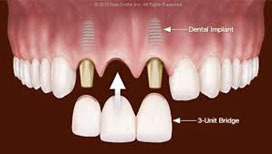 Think of dental implants as artificial tooth roots, similar in shape to screws. When dental mplants are placed in your jawbone, they bond with your natural bone. 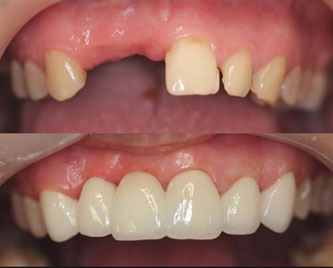 They become a sturdy base for supporting one or more artificial teeth, called crowns. 1. 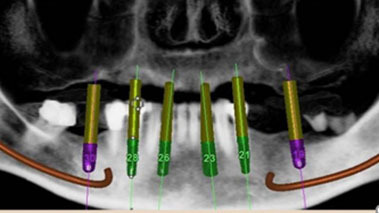 Initial consultation: Your implant dentist will thoroughly examine your mouth, including taking X-rays or 3D images, to analyze the quantity and quality of the jaw bones, and identify anatomical structures like: major nerves, arteries and sinus. 2. 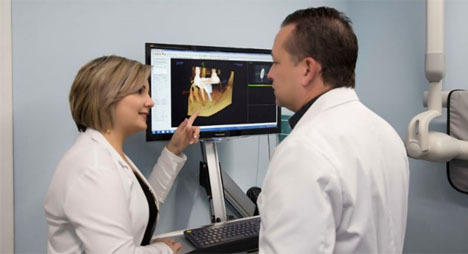 Treatment Planning: State-of-the-art, highly precise 3D digital imaging and implant surgical planning software has made implant procedures faster and highly predicatable. 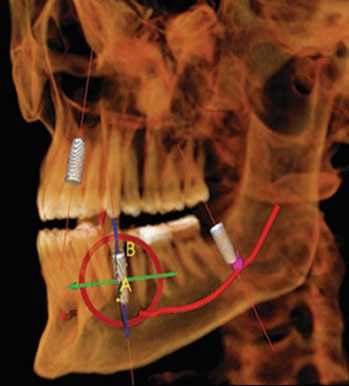 Your dentist can use these tools to analyze the anatomy of your jaw and determine the best sites for implant placement before surgery. This saves time and money and shortens recovery time. 3. 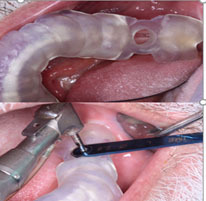 Flapless Surgery: A surgical guide is fabricated to be used during surgery. 4. 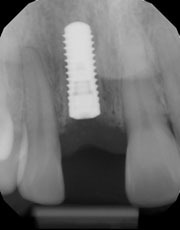 Wait 3-6 Months: To complete the healing process and the proper integration between the bone and the implant. 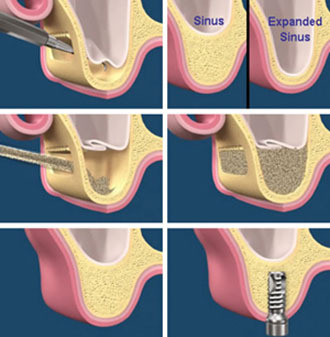 This process helps provide a solid base for your new artificial tooth/teeth, juust as roots do for your natural teeth. 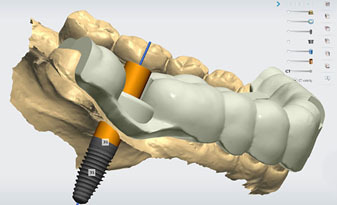 If your jawbone is not able to support dental implants, several techniques can be used to rebuild bone, restore your natural jawline and provide a sturdy foundation for implant-supported teeth. Ridge expansion. 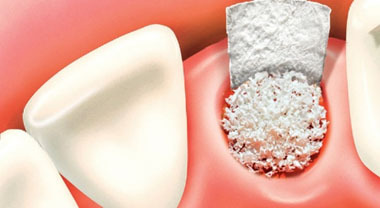 If your jaw isn't wide enough to support dental implants, bone graft material can be added to a small ridge, or space, created along the top of your jaw. Initial costs versus total costs. 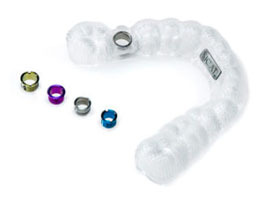 The initial price you pay doesn’t include the cost of replacing your dentures or bridges, which may be necessary as often as every 5 to 15 years. It also doesn’t include the ongoing maintenance costs, such as fixatives and adhesives. The convenience costs. 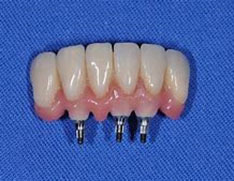 Unlike your naturla teeth or dental implants, you need to remove your dentures to soak and brush them which can be a time-consuming hassle. 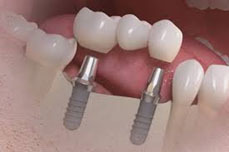 Recognizing the long-term benefits of dental implants over other tooth replacement options, an increasing number of insurance companies have started to provide some coverage. 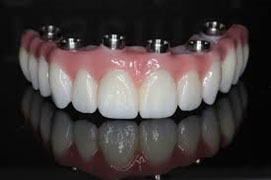 If your company does not offer this coverage, ask if you can receive an allowance toward implants that is equal to the cost of a bridge or traditional dentures. 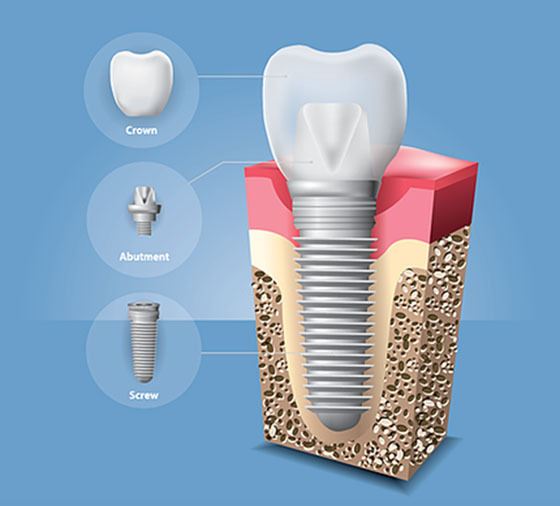 Many implant dentists also offer financing and payment options to make dental implants even more affordable, so be sure to ask what plans your dentist offers.